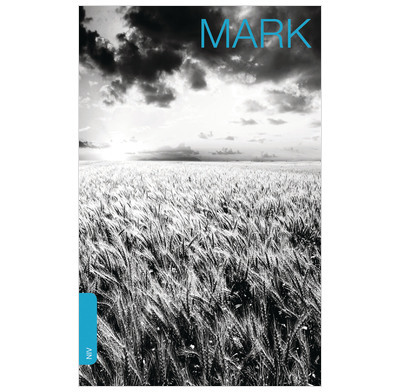 The Gospel of Mark in the popular NIV version. Perfect for giving away to introduce people to Jesus Christ. The Gospel of Mark in the popular NIV version. This new edition is designed and priced for giving away to introduce people to the message of Jesus Christ. Mark was originally written for a Roman audience, and is the shortest of the four Gospels. Its simple structure and dynamic telling of the story of Jesus makes it a good choice as a give-away gospel for evangelistic events. Text size is a very readable 9pt. Amazing bulk discounts are available. We can also customise these gospels with your own cover and customised pages. Bought this to place as a free booklet at back of church or as personal give away. It looks good and print clear. Thank you. Excellent Gospels to give away. Quality of the format is very good, is great to give out. Love the size and the quality of the colour cover. The Gospel of Mark is what it says ! Good quality printing, well presented. The service from GBC was excellent, the Gospels are great value and were delivered quickly.